This is to inform you about a very important new initiative called CopticWorld.org. It has launched online and will join the Copts together throughout the whole world. This project has been four years in the making and is blessed by H.H. Pope Shenouda III. It is also blessed by H.G. Bishop Youssef and H.G. Bishop David. It is very important that everyone join this initiative at http://www.copticworld.org/account/signup/?code=tampa . The site also provides many great social features such as streaming any church in the world that has a camera and a server. Imagine you can attend a youth meeting in Australia and Tasbeha in The monastery of St Mina in Egypt all in one day! There is also a worldwide business network of Coptic people! You can post videos, audios, photos, ads and blogs. 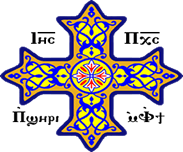 You can go to CopticWorld.org and sign up and watch the video on how to use the site. Please urge your family and friends to do the same.